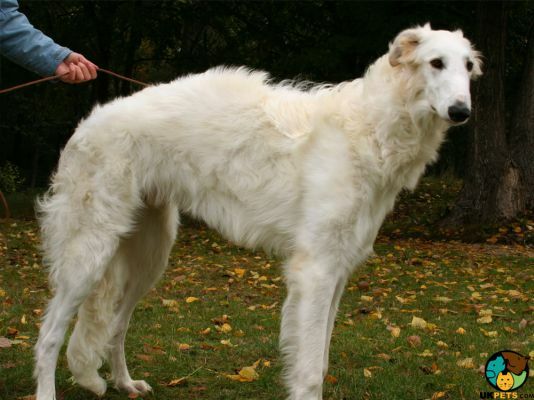 The Borzoi is an elegant-looking wolfhound bred to hunt wolves, foxes and hares in Russia during the 19th century. 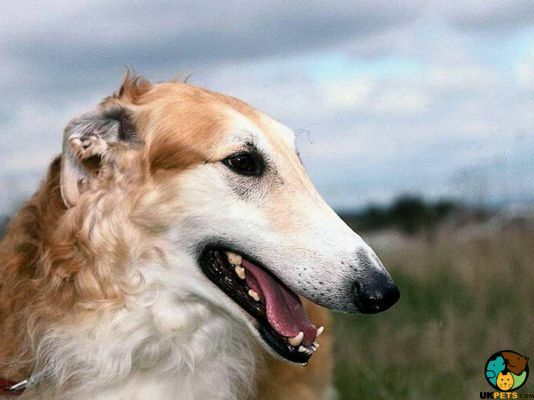 It was believed that Borzois were developed from Arabian Greyhounds and Russian Sheepdogs. They have a close resemblance to the Afghan Hound, Saluki and the Kyrgyz Taigan. Borzois are large dogs weighing 55 to 105 pounds and standing at 68 to 85 centimetres at the withers. 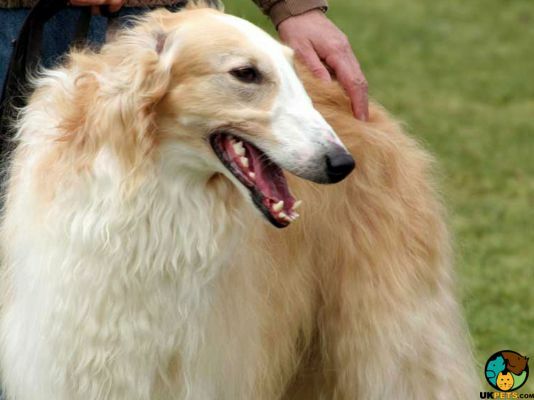 The Borzoi is fiercely loyal and will protect the family with its life. Are you looking for a Borzoi as a pet dog? Here is a brief background of this loyal aristocratic dog. The Borzoi is a Russian Wolfhound that dates back to the 17th century. This dog breed is from the sighthound family and was bred to hunt wolves, hares and foxes. Its origin is unclear, but early reports suggest that a Russian Duke imported Arabian Greyhounds after having travelled to Arabia. These greyhounds were not strong enough to survive Russia's winter, so they were crossed with Russian sheepdogs used by the Tatars back in the day. Borzois became popular breeds not because of their hunting skills but due to their exotic looks and docile nature. They were given as gifts to European royals by the Czars of Russia. In 1918, Borzois were close to extinct as they were also slaughtered together with the aristocracy during the Russian Revolution. Most Borzois that survived were those given as gifts to royals in other countries such as Queen Victoria and Alexandra, Princess of Wales or those that have been imported by Borzoi enthusiasts. Today, the Borzoi has become a favourite companion and family pet because of its elegant looks and remarkably calm nature. 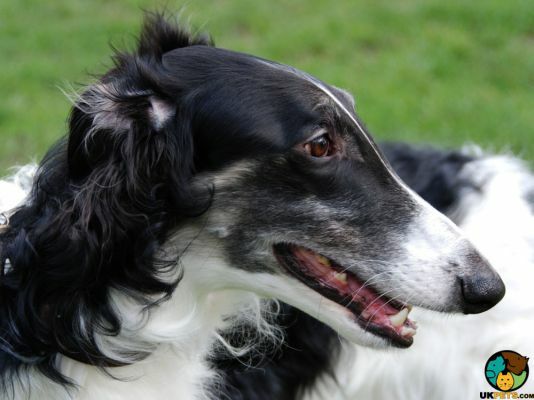 The Borzoi is an elegant, graceful and athletic dog with a long head and dome-shaped skull with an indiscernible stop. This sighthound also has a very powerful and deep jaw with perfect a scissor bite and large nicely rounded black nose highlighting its aristocratic look. Borzois are large dogs that weigh 55 to 105 pounds and stand at 68 to 85 centimetres at the withers. They have a narrow but deep chest and ribs with a deep brisket. Their breastbone is emphasised with their abdomen tucked. Borzois have long silky double coats that are flat, wavy or curly and come in a variety of colours and patterns in the canine rainbow. Distinctive of this breed is the curly hair or frill around the neck and thick feathering on its hindquarters and tail. Because of the hairs' silky texture, it is resistant to dirt thus easy to groom. Just brush your Borzoi's coat once a week with a pin brush, and remove mats behind ears and between hind legs to keep it clean. Like most dogs with long coats, the Borzoi sheds heavily during spring and autumn, so make sure to visit professional groomers at regular intervals. Don't forget to brush your Borzoi's teeth regularly, at least twice or thrice a week to remove tartar and avoid dental problems. Nails must be trimmed twice a month to prevent overgrowth, which can be painful and uncomfortable if left untrimmed. Most importantly, check its ears and clean them when necessary to avoid moisture build-up that may potentially lead to infection. 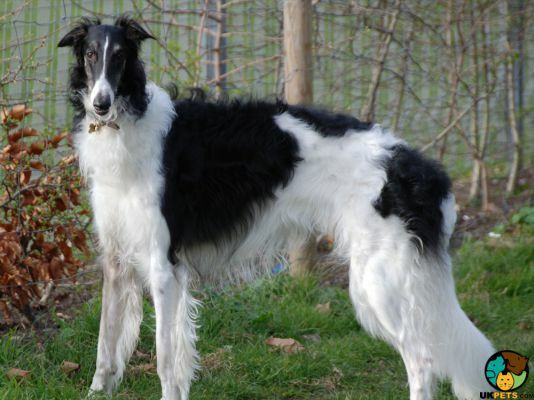 What makes the Borzoi a favourite breed in the household is its very placid nature that matches its sophisticated look. However, don't let its looks fool you as it is not ideal for first-time owners. Despite its calm nature, the Borzoi is not the easiest breed to train or manage. Being a sighthound, its hunting instincts and independent temperament may make it a bit stubborn. Borzois are sensitive and do not respond well to harsh training, so it is ideal for a person or a family with experience in training hounds. Along with their extremely calm disposition, Borzois can be aloof or clownish depending on their mood. They are easy-going and can be friendly toward strangers but are sensitive when it comes to their personal space. Being large athletic dogs, Borzois need a bigger space that is entirely secure to roam around. They need an enormous amount of mental and physical stimulation. Thus, a house with a fenced backyard or back garden is appropriate for them. Also, remember to never leave the Borzoi out without a leash, or it will escape. Borzois are genetically wired to hunt or chase little games, and that may include cats, small dogs and other small animals. Unless these pets grew up together with the Borzoi, it is not recommended to have them in one room. As for children, the Borzoi is an extremely gentle dog and can get on well with children of all ages. Most large dogs do not engage in rough play, so any interaction must be supervised to avoid accidents. 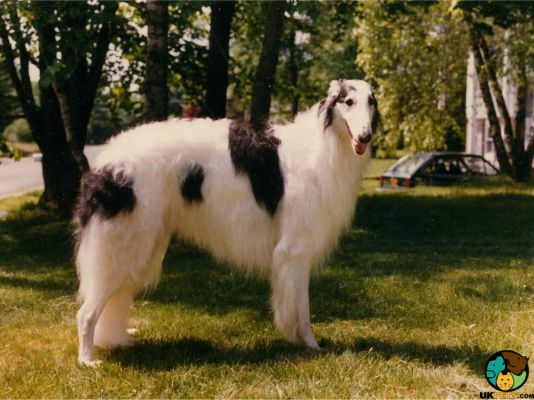 Due to its large size, the Borzoi is not ideal for families with very young children. A typical serving for an adult Borzoi is 4 to 8 cups of high-quality dry dog food per day, divided into two meals. Always take note that feeding amounts will vary on the size, activity level, age, build and metabolism of a dog. Borzois are prone to bloat so make sure you avoid free-feeding or leaving out food all day. It is vital that you measure the amount of food properly and stick to a feeding schedule. The best diet to serve for Borzois includes fresh chicken, beef, turkey, fish, or venison. When it comes to processed food, make sure you check the labels, and you choose premium brands for large dogs. Borzois have an average life expectancy of 10 to 12 years. They are healthy dogs when properly cared for, but they can also suffer from hereditary or acquired health problems. These health problems include Gastric Bloat or Gastric Dilatation Volvulus, Progressive Retinal Atrophy and Osteochondrosis Dissecans. All dogs require regular check-ups so make sure you take your Borzoi to an experienced veterinarian so you can be aware for such ailments. Borzois are highly-energetic dogs, so they need to be given ample time to run around or do some exercises. Take your Borzoi to long walks or let them romp within a securely fenced area for at least two hours. Borzoi puppies cost around £500 to £800 or more if coming from a reputable breeder. However, since puppy litters are limited, you will have to be patient since you will have to be on a waiting list. In 2015, there were only 120 puppies registered with the Kennel Club, and not all of those were for sale. 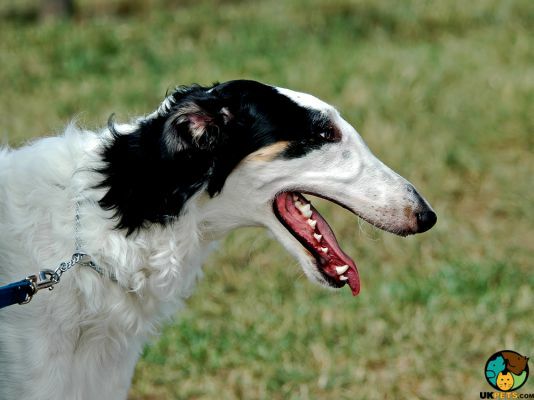 While you wait for your Borzoi, it is crucial that you understand the financial setbacks you might encounter in raising and taking care of this dog breed. First, you have to make sure that your Borzoi is well settled, so buying dog supplies and equipment (e.g. leash, collar, beds, bowls and more) is necessary. This may initially cost you around £200. For the food, premium quality dog food will be £60 to £80 a month considering the Borzoi is a large dog. Pet insurance is another cost to consider. If you want the best for your Borzoi and if you can afford to spend a bit more, you can opt for a lifetime cover which costs around £50 a month. If you can't afford it, basic cover costs £25 - £30 a month. Veterinary consultations including regular health checks, initial vaccinations, boosters and neutering will set you back at least £1,000 a year. For a rough estimate, raising a Borzoi will cost you £100- £130 a month excluding insurance and veterinary treatments and procedures not covered by insurance. Is a Borzoi Right for You? Borzois are large, elegant-looking, calm and athletic dogs. They have silky coats that come in a variety of colours. They are heavy shedders during spring and autumn. Borzois are not the best choice for first time owners or families with small children. They don't bark much and have a calm disposition. They are extremely loyal to their owners.